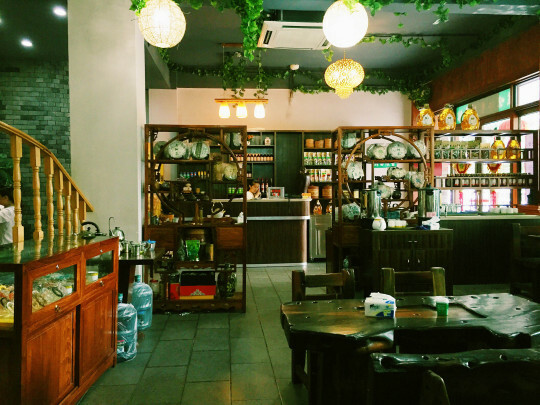 A short post from my short stay at Kaiping, a small town in South China with a UNESCO heritage status. These are castle tower clusters from the 1920s built by rich merchants who came back from the West, hence the blend of Chinese and Western architecture. However in my books, these are the type of architecture that looks great from outside but pretty blah inside. The landscape is the main thing making the place beautiful – lotus ponds with ducks, rice fields, smiling grandmas, wooden bridges and stone paths flanked with mango trees with a cluster of towers in the distance. 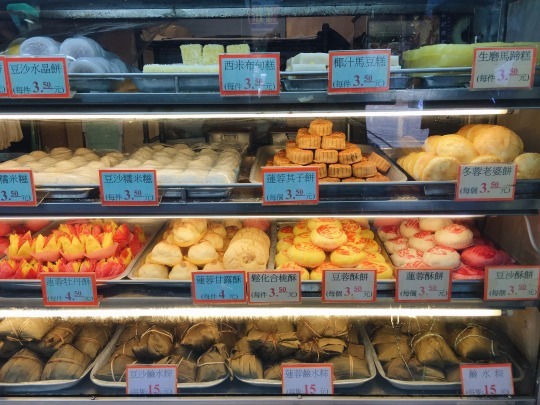 We stayed at the only hotel in this town, and for breakfast there is an interesting kueh (the Southeast Asian and Southern China term for cake). Seems to be simply rice and sugar, but baked in a tiny clay dish! Certainly had this warm, earthy taste that I’ve never experienced from our kuehs. 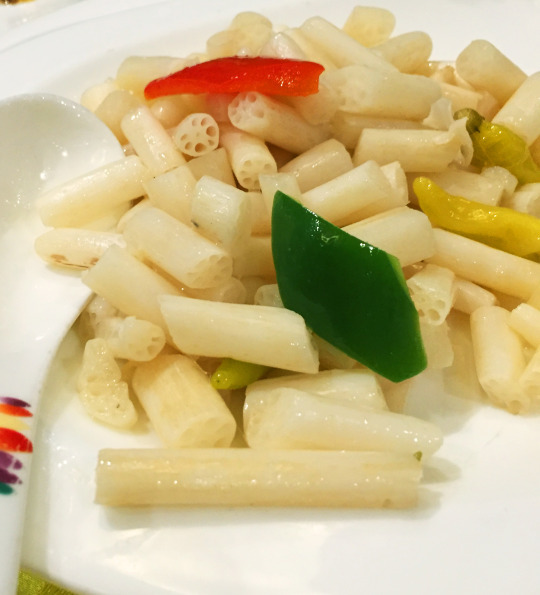 Being a South Chinese town, various rice noodles are common. 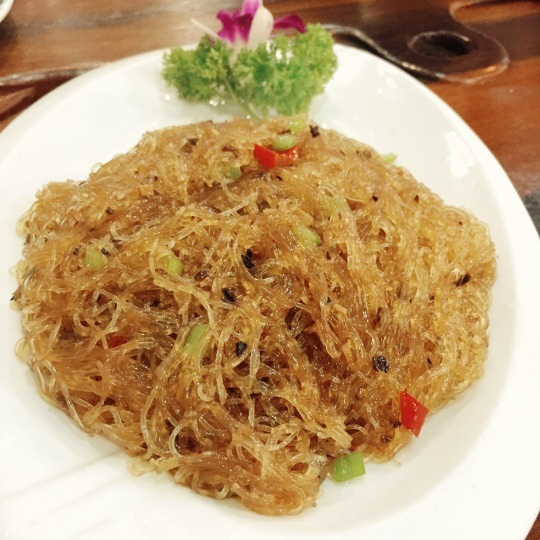 In their restaurant I had the BEST EVER fried hor fun (flat rice noodle). 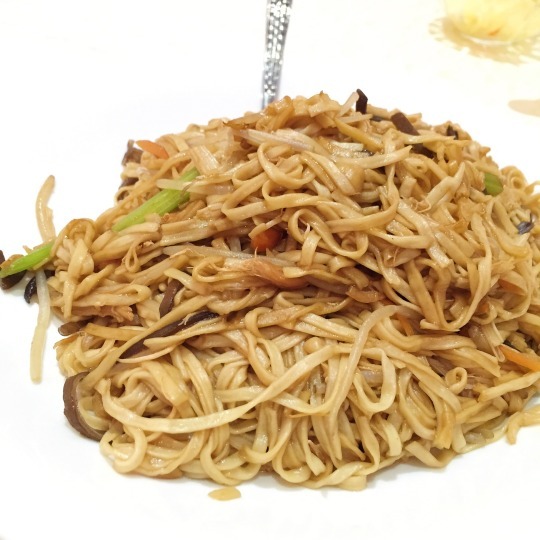 The light soy sauce not overpowering sweet crunchy onions and chives, the tender slippery noodles coated in the right amount of oil, and the wok hei – ness was so memorably perfect. Shenzhen is considered a new city by China’s historical standards, is a bustling metropolis. Located in Guangdong province and right next to Hong Kong, it is the major financial power in South China. 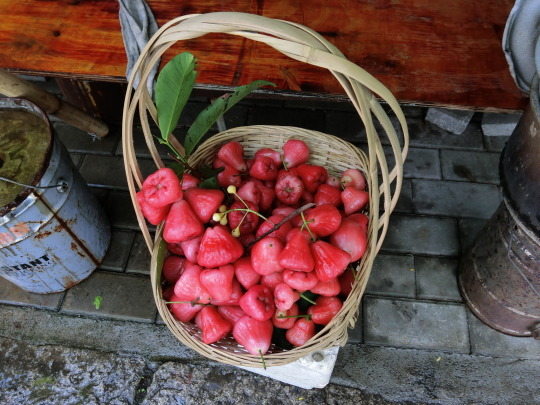 When I visited it was lychee season, thus lychees of all sizes where at every corner. 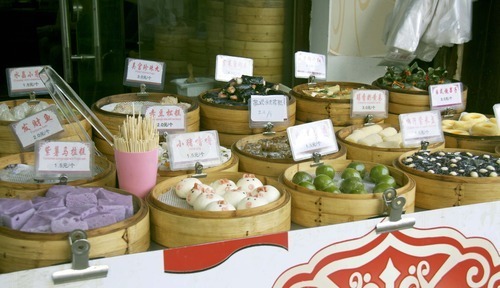 Chains of fast food kiosks such as 邓老凉茶 (Denglao Herbal tea) and 永和豆浆 (Yong Ho Soymilk) usually have breakfasts of you tiao (fried dough fritters), mantou (plain wheat buns) bao zi (stuffed buns but commonly with meat) and dou jiang (soy milk). 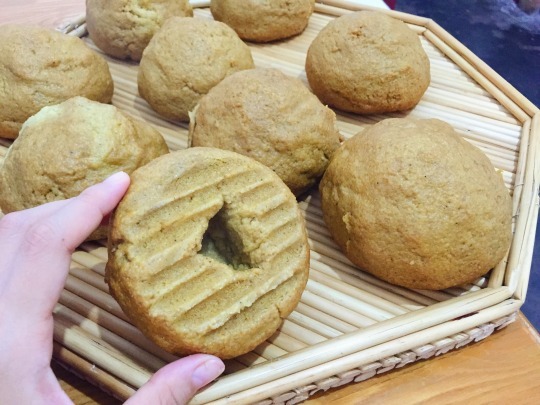 At one 邓老凉茶 they just happened to have yummy handmade vegetable and mushroom buns! 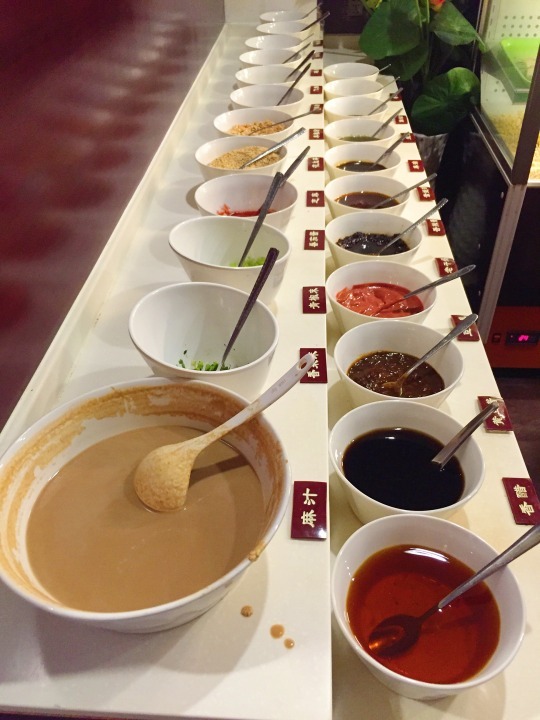 There are cold and hot dishes in Chinese cuisine; cold dishes are not like chilled cold but are usually pre-cooked and served at room temperature. 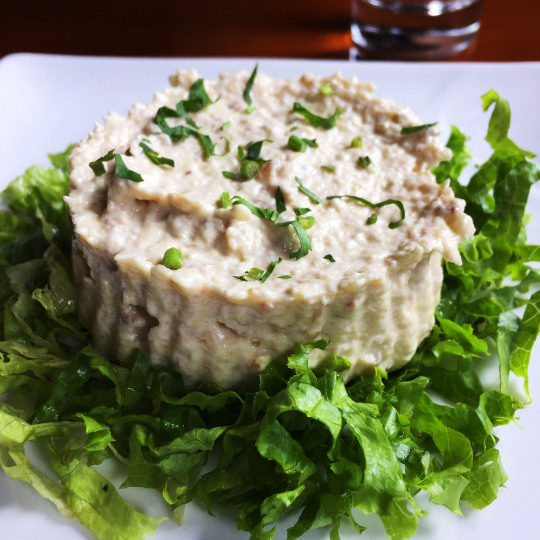 They are mostly appetizers or sides and hence savoury-sweet and tangy. We Chinese can’t stand much cold foods so the mains are piping hot! 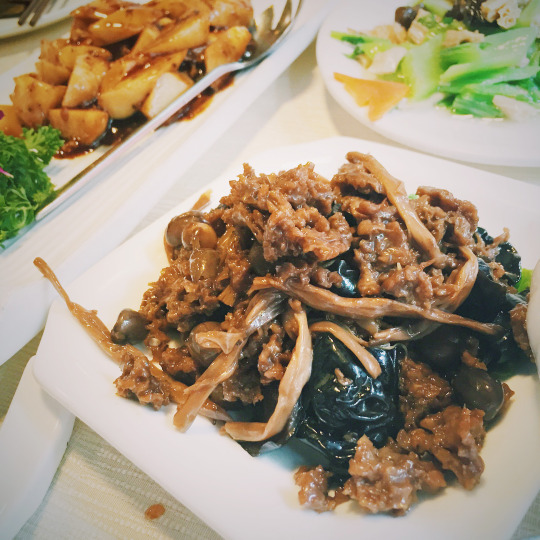 These are from 福田林 (Fullness Vegetarian Restaurant on Happy Cow), the best place I’ve tried in Shenzhen. 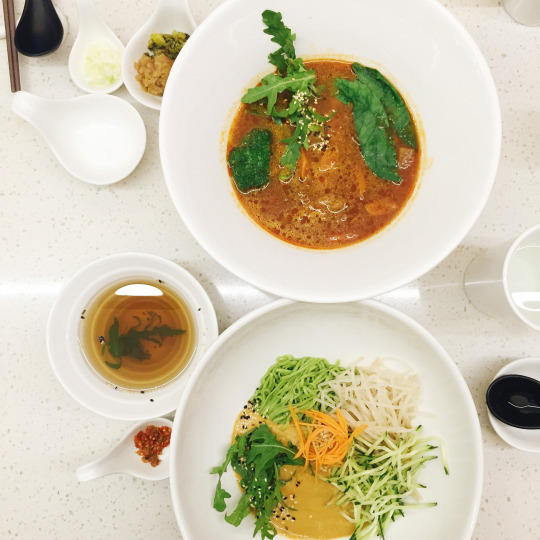 Almost everything is above average and here I’m only listing the 3 cold and 3 hot dishes that blew me away! 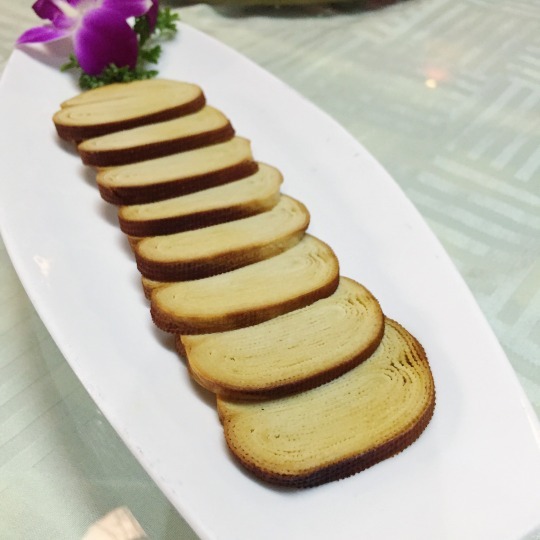 Smoked beancurd skin. Basically it’s the layer of protein that is formed on boiling soymilk, dried, flavoured, rolled and steamed together into a roll. 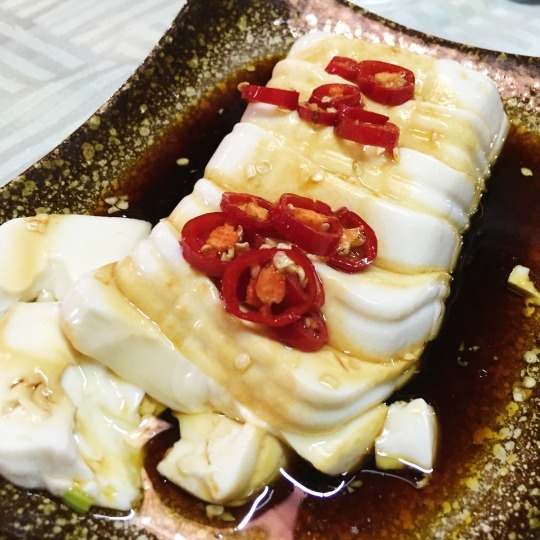 Silken tofu with sweet soy sauce is my favourite way to tofu. Theirs redefines the meaning of soft tofu! Melts in your mouth with the savoury sweet sauce. Looks scary but trust me it’s the best cold dish there. 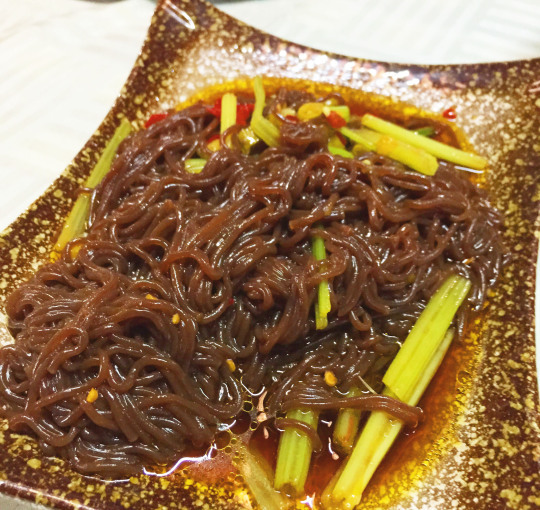 Soft, slippery and springy noodles made from kudzu root tossed in a spicy soy sauce. Gluten-free too! 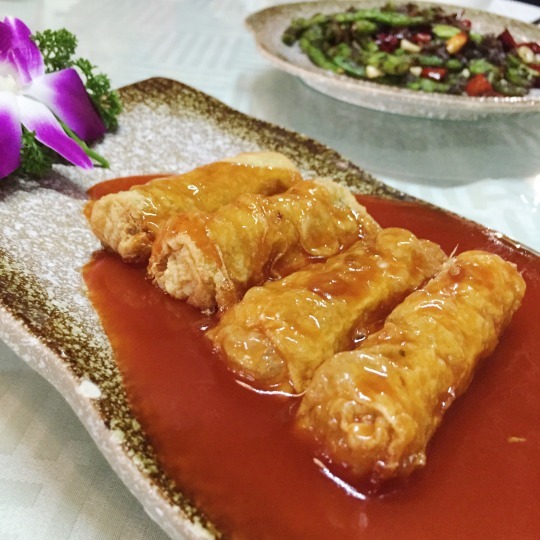 Mashed yam stuffed in fried beancurd skin and soaked in sweet sour sauce. 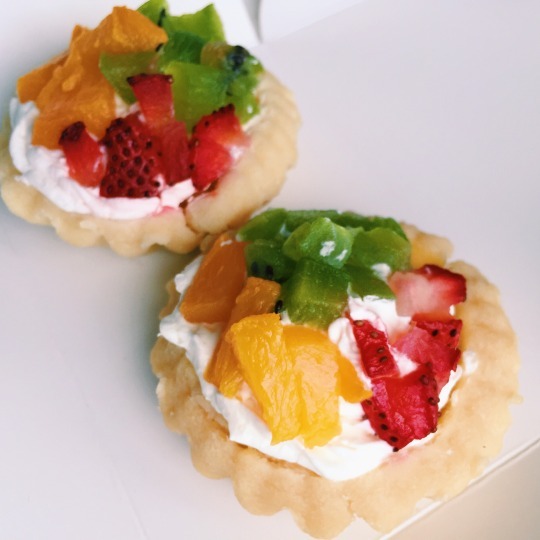 Crisp, creamy and sweet haven in a two-bite parcel. 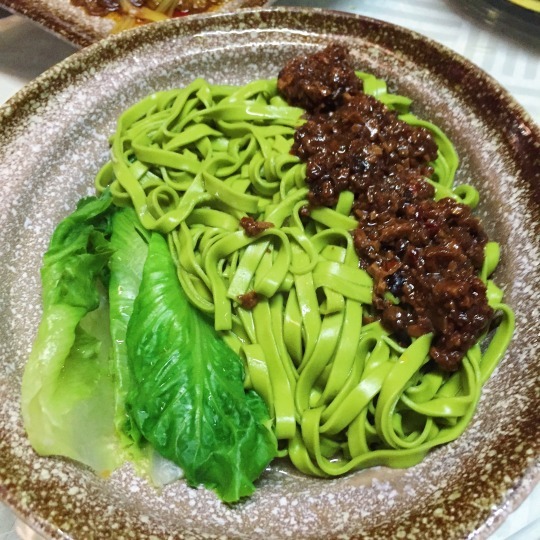 Zha jiang mian (fried sauce noodles) is a famous dish from China with its Korean counterpart called jajangmyeon. 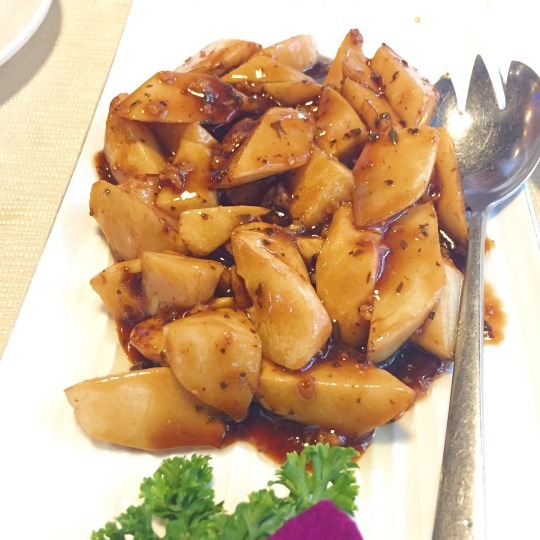 Here the fried sauce is excellently rendered with textured soy protein minced with lots of peppery spices and fermented bean sauce. 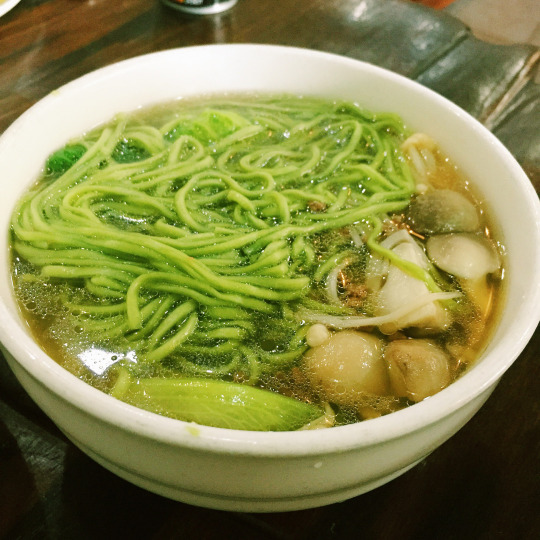 The only thing that’s slightly unsettling was the saturated green of the spinach noodles. 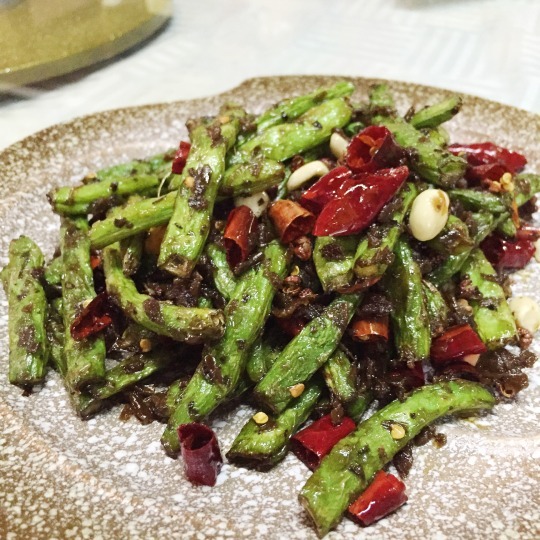 French beans stir-fried with preserved Chinese olives and fried chilli. 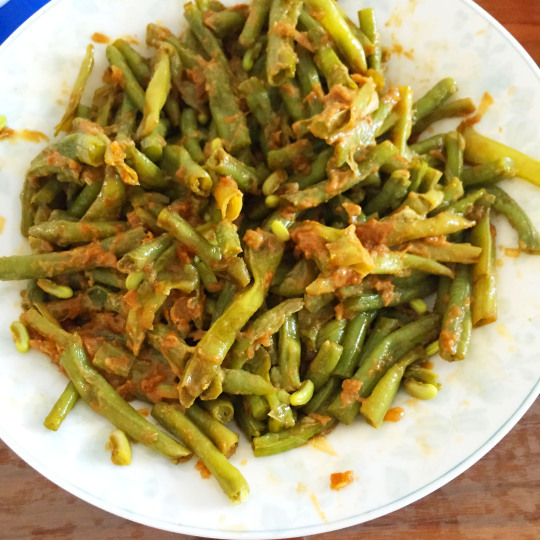 The rustic wok hei taste was rich and the beans, so so juicy! Which is amazing considering how much heat was used to achieve wok hei which will have turned any veggie dry. A highly skilled chef indeed! 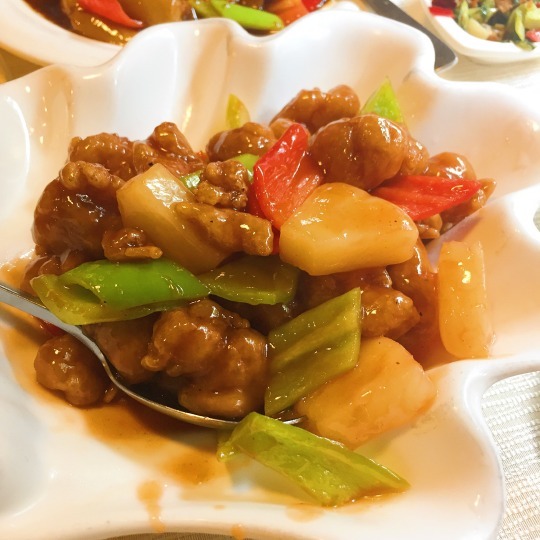 For the uninitiated, wok hei is a most unique taste in Cantonese cuisine. Not achieved by adding any ingredient, instead it is given to the food by the highly heated wok itself. That’s the end of Shenzhen, there are much more places on Happy Cow that I couldn’t visit. 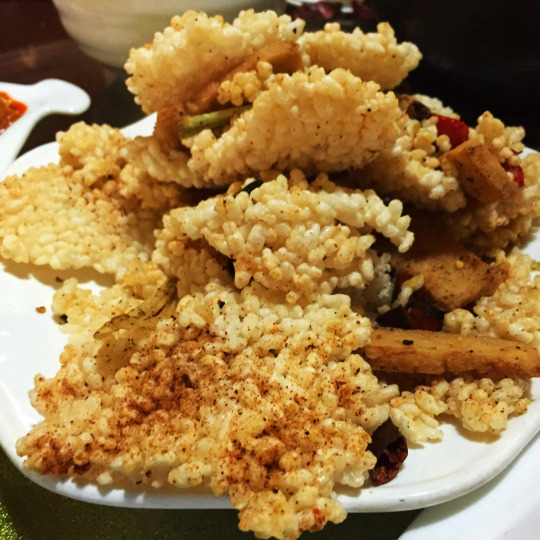 More Cantonese food coming up from my travels in the south! 38 days grad trip in 10 cities and towns with some of the most simply amazing food, places and people. 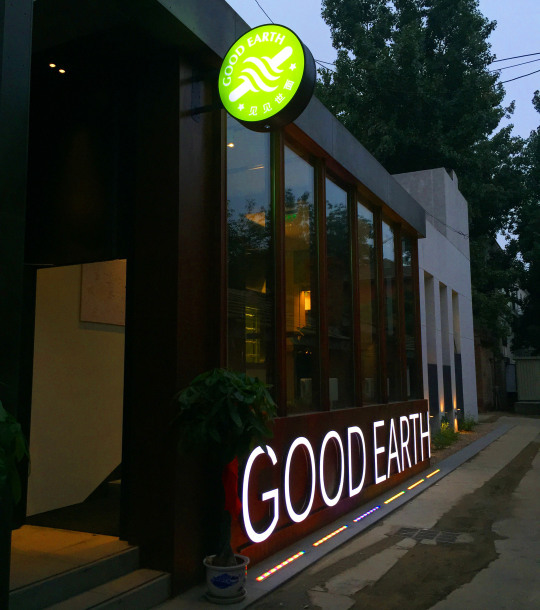 China, despite popular assumptions, can be very vegan-friendly. Because China had a long history of religions that advocate vegetarianism, and is the land where tofu and seitan originated. 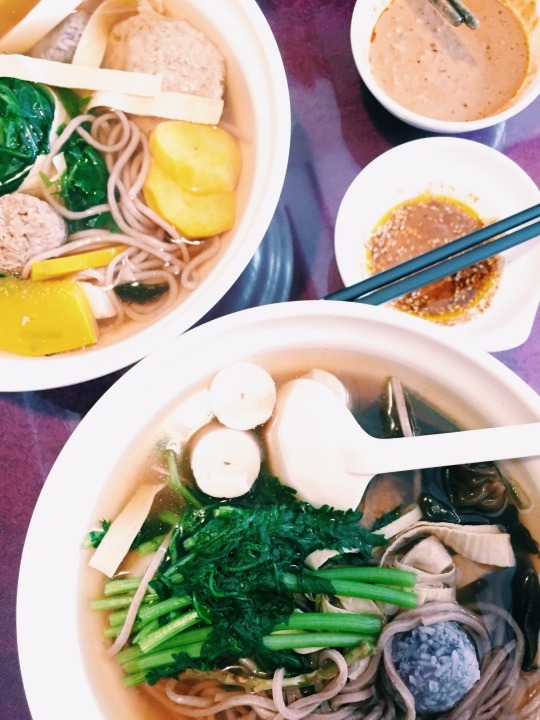 With agriculture produce and cuisines as diverse as the cultures and the most of the cuisine traditionally don’t use dairy, China should be on the good vegan food radar – if you know where to go and what to say. Happy Cow was a great help but there are some places I stumbled upon, or so hidden that only locals knew. 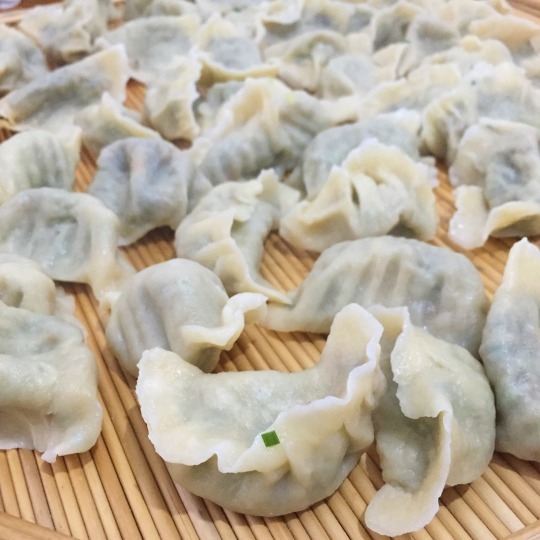 Click on the Chinese restaurant names for links to their address and details. So here’s my picks from Shenzhen, a bustling city in the southern province of Guangdong. 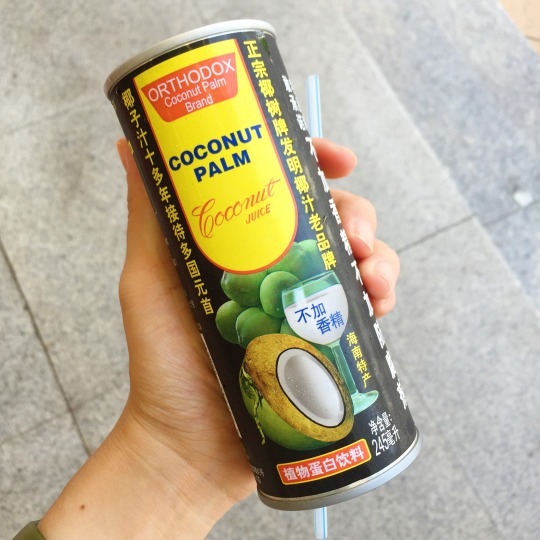 Refreshing and creamy coconut juice from the tropical island of Hainan is available in almost every supermarket, convenience shop, roadside drink stalls in the cities! 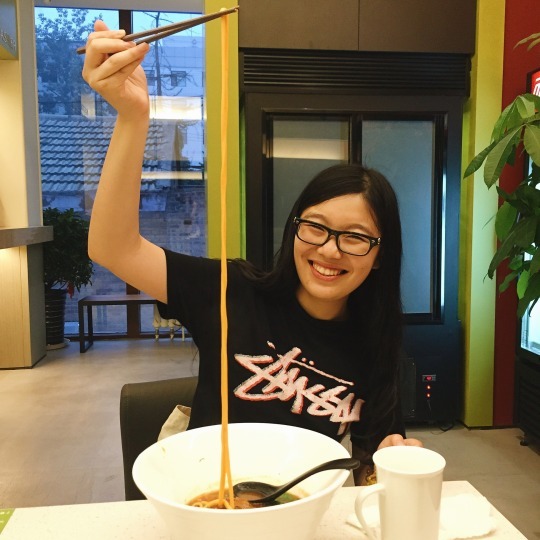 First meal out was at 大秦面馆 (Da Qin Noodle House), a chain of non-vegetarian noodle restaurants that serve traditional Xi’an style noodles – we simply told them “no this and that” and the staff recommended 油泼面 (Youpo noodles), a (traditionally vegan) handmade noodle dish that’s generously drizzled with a very high temperature chilli oil that cooks and caramalises the toppings, giving its unique spiciness. 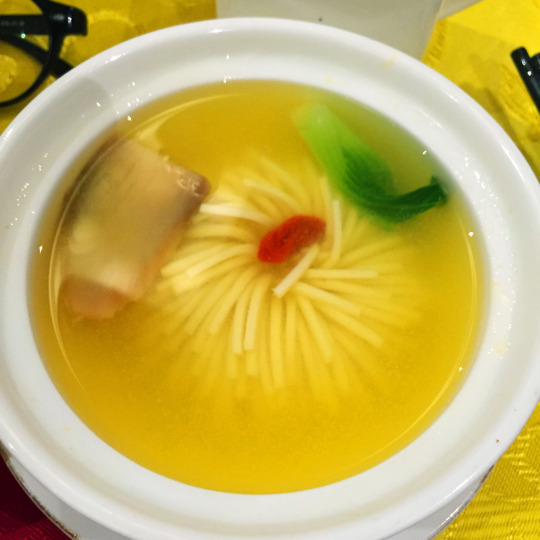 怡新素食 (Yi Xin Vegetarian Restaurant) at Foshan, another city near Shenzhen. The only dish I liked is this stew spiced with Chinese red peppers, chilli oil, holding generous amounts of veggies and pieces of chewy Baiye tofu soaking up the soup! 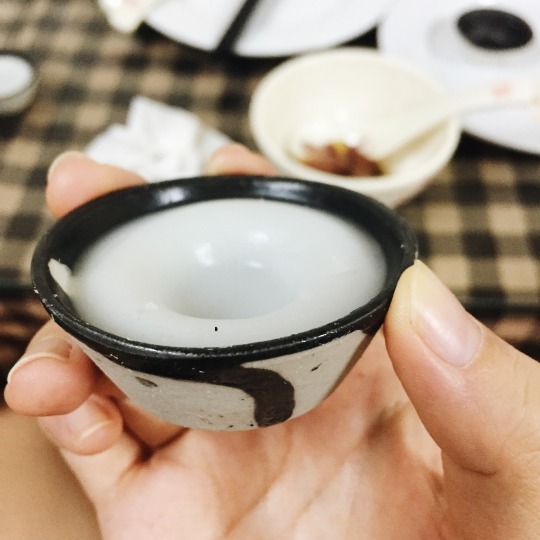 I’m sure usually the quality should be good but we went near 2pm when the kitchen crew was having break time..
法味轩素食馆 (Fa Wei Xuan Vegetarian Restaurant ) has a focus on charity – they have a 10 yuan lunch buffet and free flow of soy milk and porridge for anyone, poor or rich. You can have this if you want quantity. For quality go for the excellent menu! 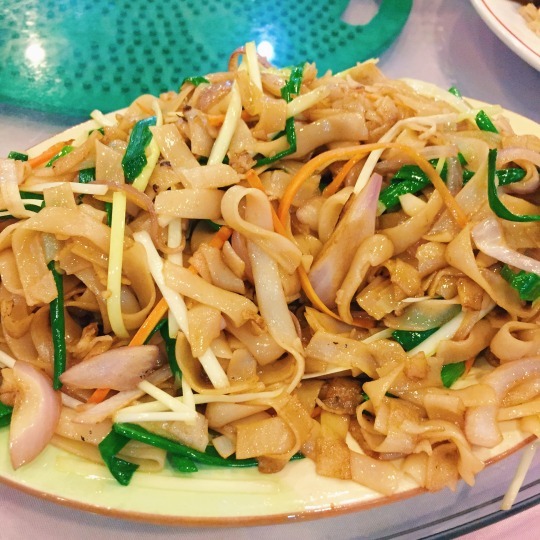 Stir fried glass noodles (made from green bean, not glass!) 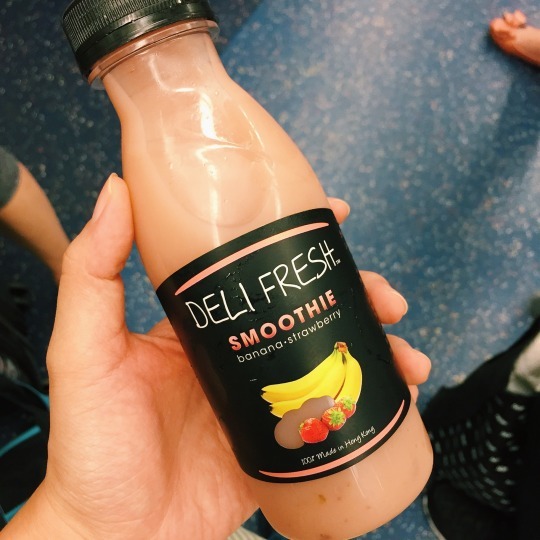 with fermented black bean bits – springy and savoury with sweet crunch from the capsicum bits – a must try, gluten free too. 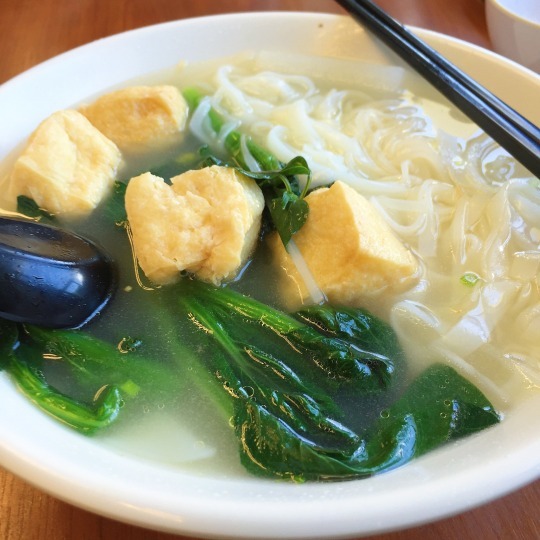 Spinach noodles in soup was a favourite! The clear broth is so richly umami with a slight smokiness. 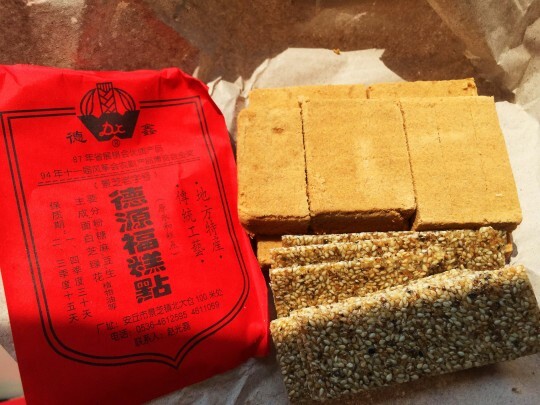 锅巴 (guo ba) – think rice crispies freshly deep fried with salt and cumin spice mix generously sprinkled on it. 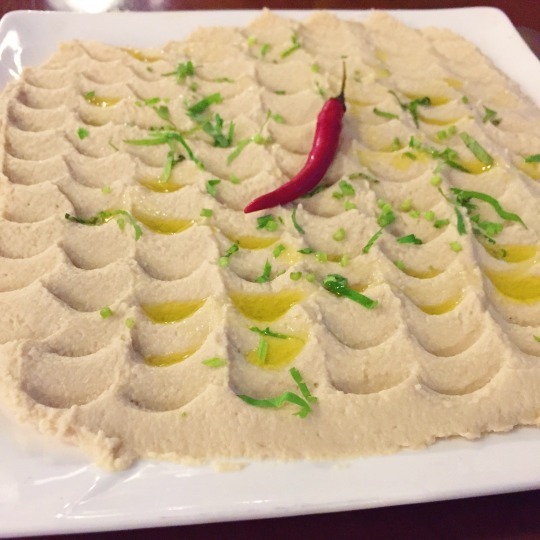 A traditional gluten free snack that’s common and easily made vegan. I visited Suzhou last month with course mates on a landscape architecture study trip. Beautiful rustic place – black and white houses lined with canals crossed by petite stone bridges. Suzhou’s heritage love their gardens and plants, evident from the famous Suzhou gardens to the numerous potted plants that dot residential streets. 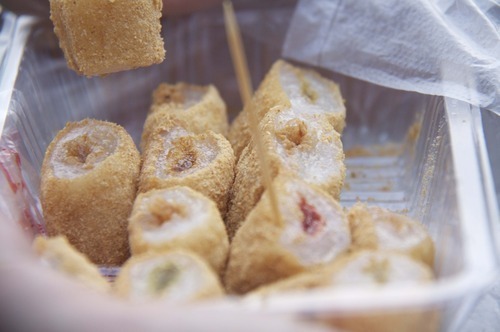 Sticky rice rolls coated with peanut powder and filled with anything from jam to lotus paste. 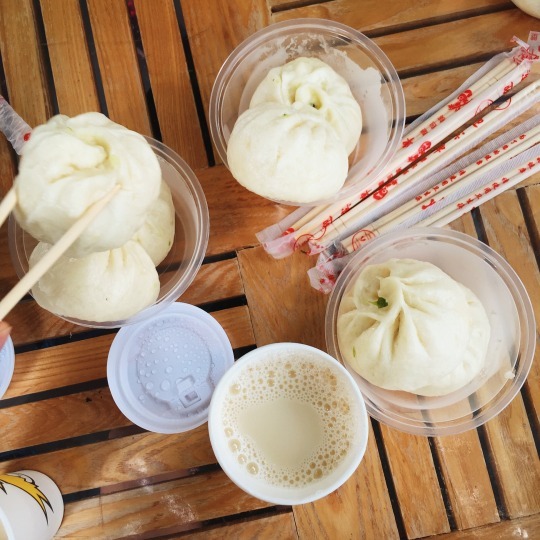 Steamed goodies along Pingjiang Road, not all are vegan though. Luckily they do write out what it is, both in English and Chinese. 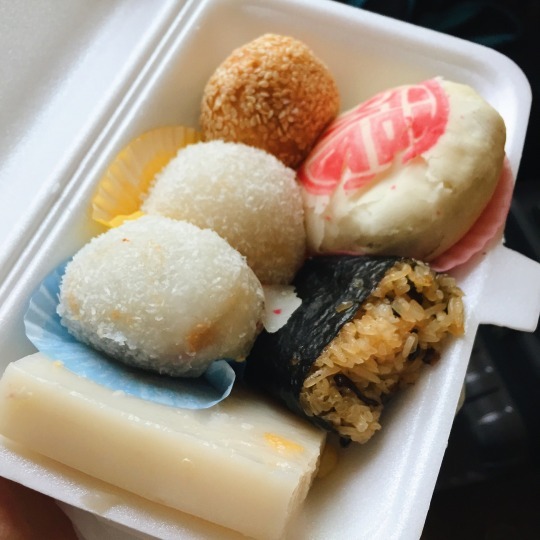 I bought a couple of sticky rice cakes, the purple ones are taro flavoured rice cakes. The pig is actually a red bean bun! 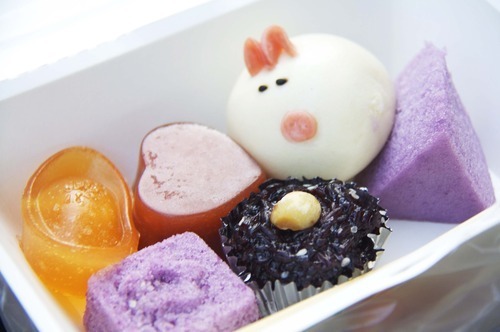 Lastly the cupped cake is soft black rice with taro topped with a hazelnut and that’s the yummiest! Fresh lotuses are sold for one or two yuan at many places on a pushcart. 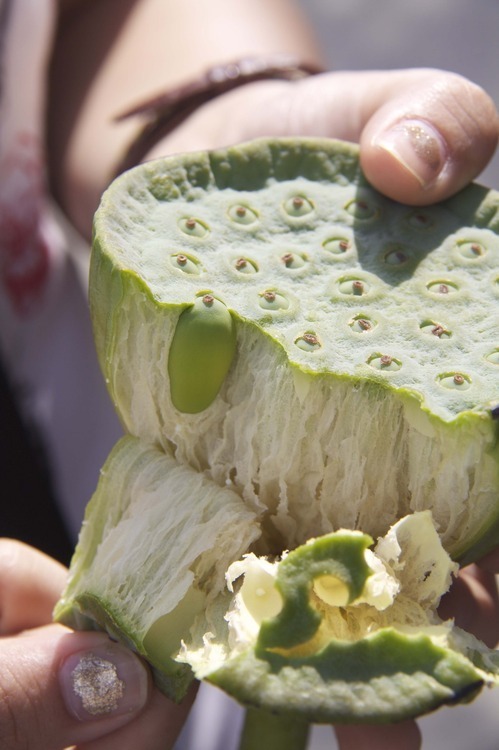 You have to break the shell, then peel the green coating off the seeds to reveal a white seed that tastes like a juicy almond. 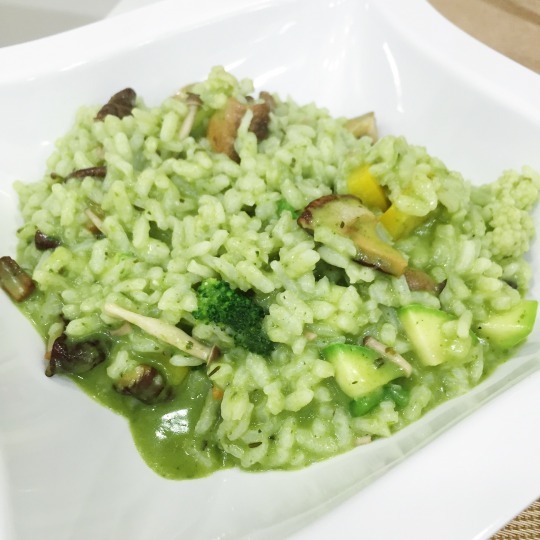 Restaurants usually have a good selection of veg dishes like stir-fries or salads with rice or noodles. It’s still best to remind them not to use any animal oil, just as a precaution. 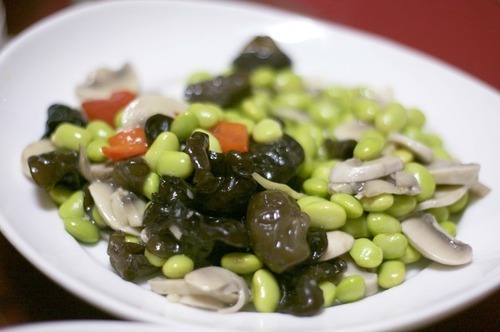 Edamame, red capsicum, button mushroom and wood’s ear fungus stir fry. 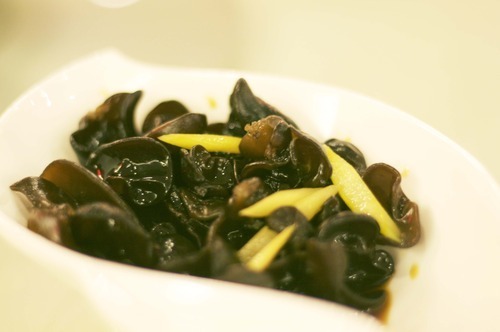 You’d find this fungus in Chinese dishes a lot, doesn’t look pretty but it’s full of minerals! Lightly stir fried potato strips. Unlike the Western potato dishes, this is not the starchy type but a very crisp one. You can find this in many places in China, not only Suzhou. Cold noodles are sold everywhere in the summer. Usually tossed in sweet vinegar, soy sauce and chilli oil, topped with coriander, sesame, crushed peanuts and sometimes shredded cucumber. 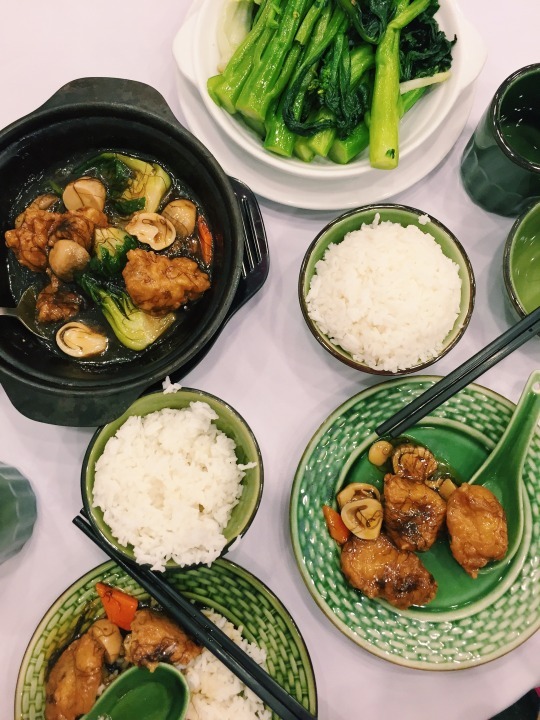 We had our last meal in a Cantonese restaurant at the airport. 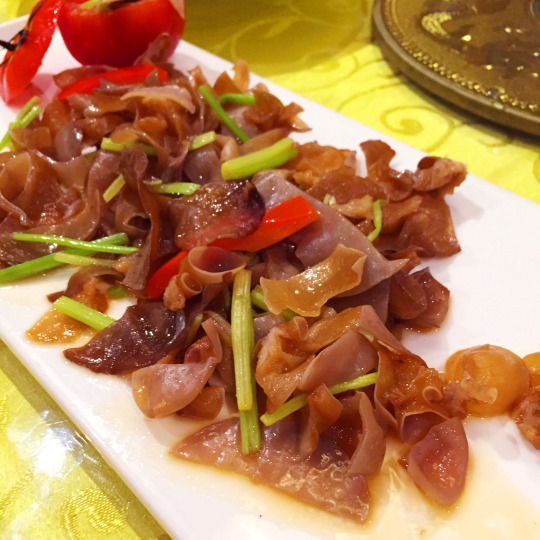 Wood’s ear salad for appetizer. 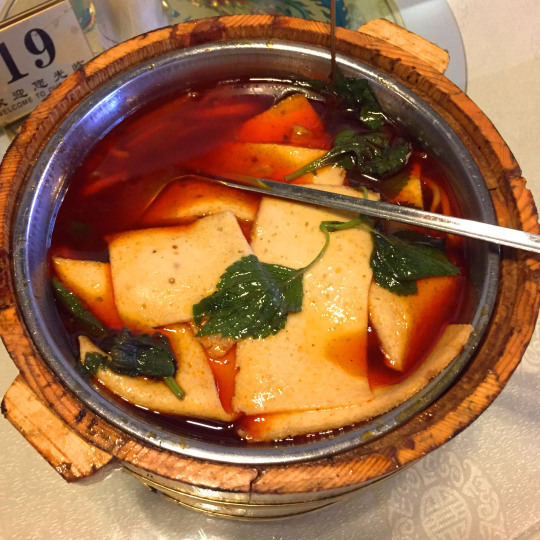 The juicy fungus is tossed in a fragrant vinegar and bamboo shoots and served chilled. 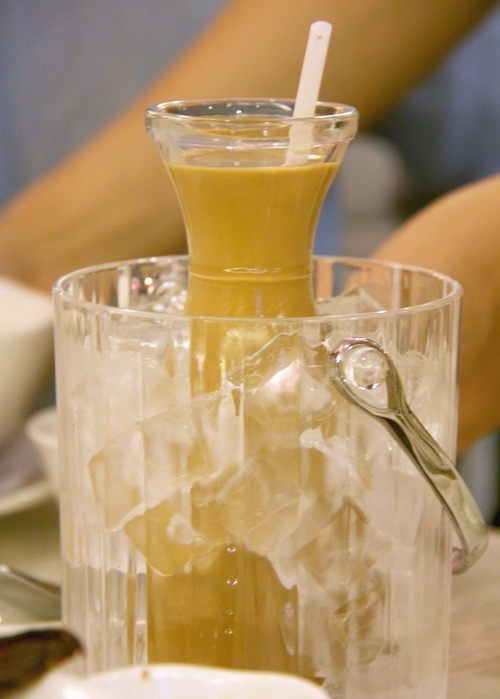 Soy milk tea! Full marks for presentation, and taste too because it’s rich and not too sweet. Stir-fried veggies in a fried taro ring. A common dish in Singapore Chinese restaurants too, yet this is better done than those I’ve had. 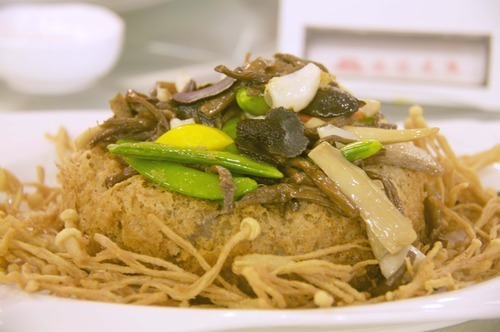 What I loved most is that they used fried enoki mushrooms to line the dish, unlike the usual fried rice noodles which local restaurants use. Crunching on them is as addictive as potato chips! Recently I visited Beijing with the family. 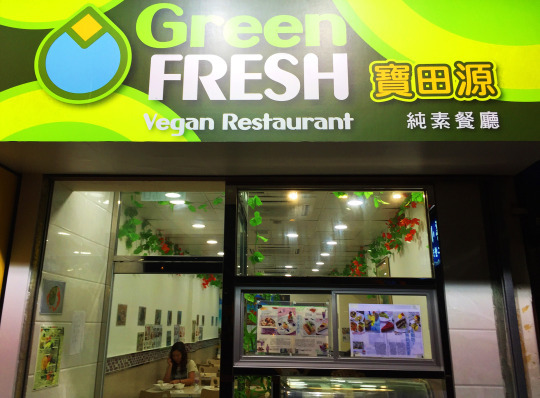 Due to the short time we stayed we didn’t venture out in search of veg restaurants, so we braved a couple of non-veg restaurants and asked for vegan food. And it wasn’t a problem at all when we communicated clearly! 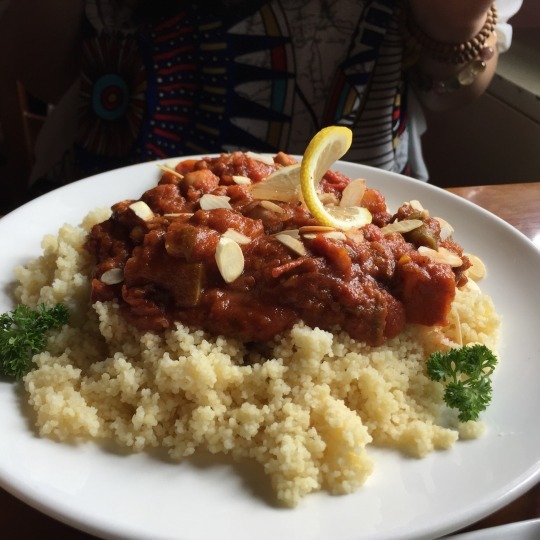 What we had was delicious, refined and eye-opening. So here are those that I especially loved, do look out for them if you visit Beijing. Top picture – Steamed cake with raisins. 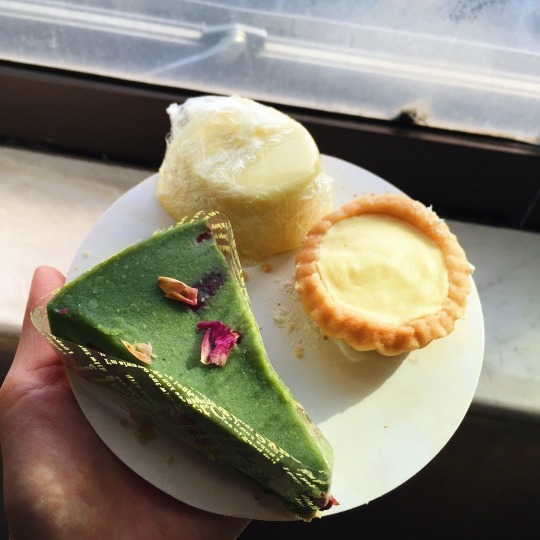 Ovens aren’t used in Chinese cuisine, so cakes are usually steamed to a light, fluffy texture. 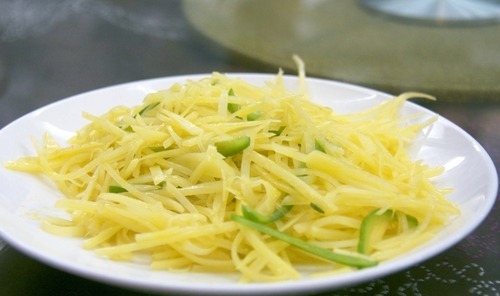 Pickled radish stir fried with vermicelli and chilli. My favourite, not only because I love anything sour and spicy, but this is not overly done on spiciness. 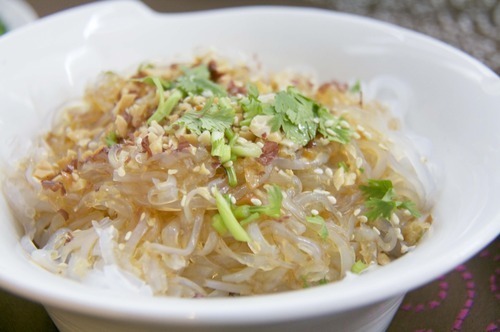 Vermicelli is a transparent noodle made from green bean or sweet potato starch, the thinner type are made from rice. 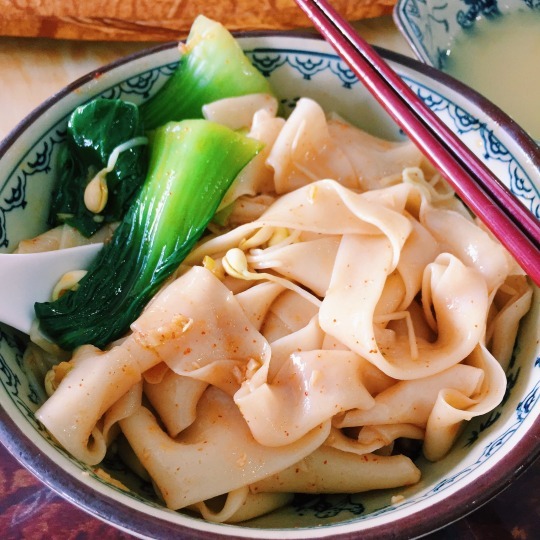 This may look a little scary but it’s refreshingly cool and chewy – The noodle is made from Kudzu root, used in Chinese medicine to clear excess heat. Tossed in light vinegar, sesame oil and garnished with chilli and chives. Chinese toon sprouts tossed with smoked tofu strips. The sprouts resembles the taste of onions, but has an uplifting quality and doesn’t cloud your breathe. 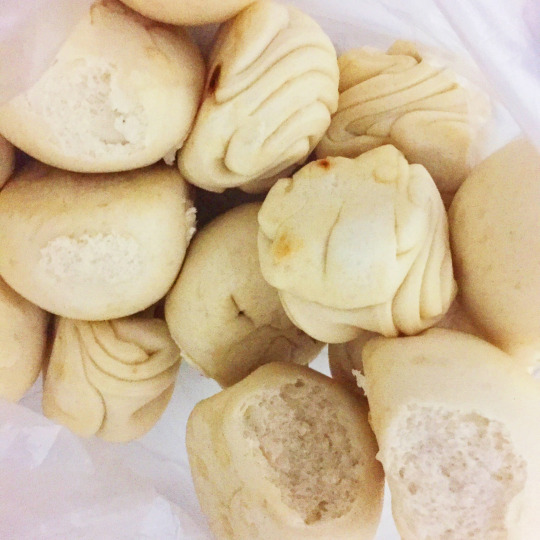 Deep fried yam rolls – the ends are dipped in white sesame which makes the first and last bite most interesting. These look like pears but are not! 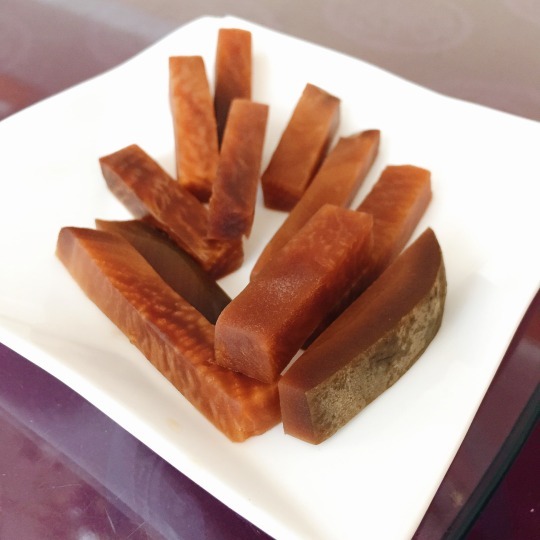 The ‘stalk’ is a strip of dried sweet potato. Surprise, surprise – it’s fresh red bean paste wrapped in sticky rice dough and deep fried. 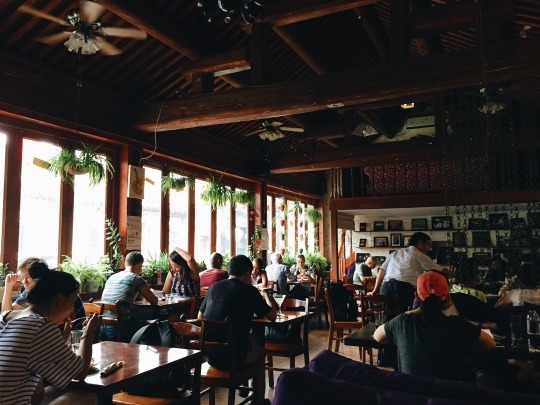 Go to a restaurant that is clean, not some roadside stall or eatery. 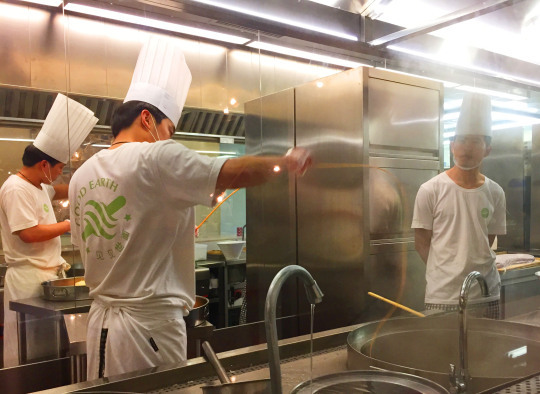 Not only it lessens your chances of an upset stomach, restaurants have well – trained staff too. We went to a place that specializes in roast duck because there weren’t any other places to eat, but still had our fill. The waitress looked puzzled to why we would not order any duck, but asked no questions. 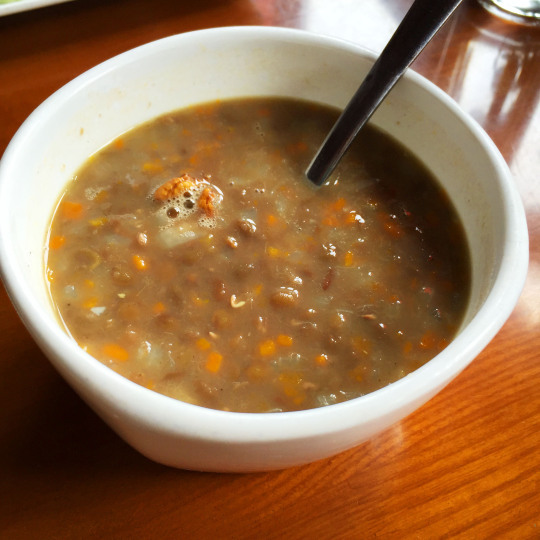 Communicate clearly – because some people classify shrimps or chicken stock as vegetarian. 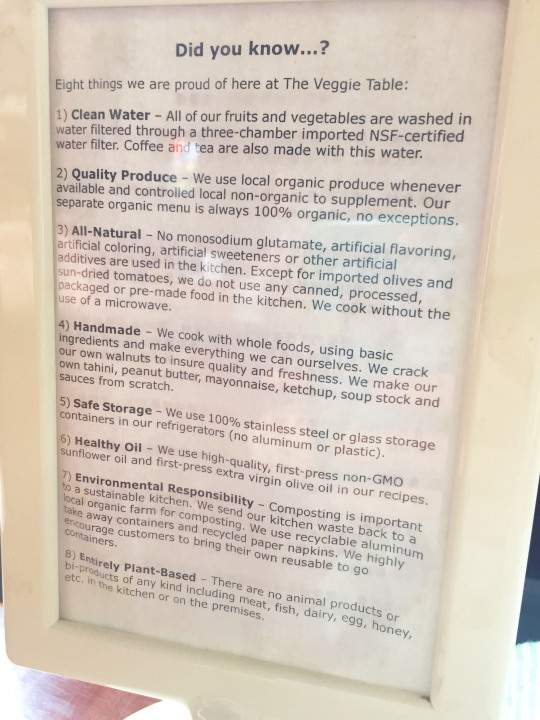 Best is to write a list and show it to them – no animal fat, meat stock, milk, eggs, seafood. Most restaurants provide wet tissue, you can use it to clean your utensils. 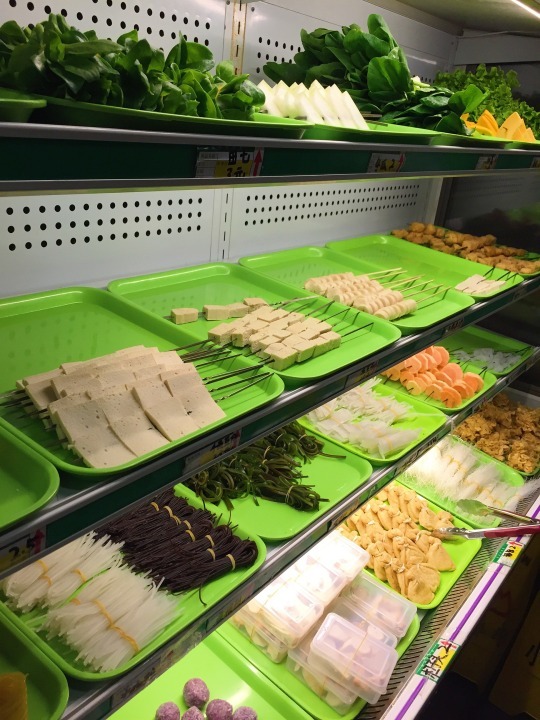 And many use disposable chopsticks – so no worries about using anything with a faint fishy smell.